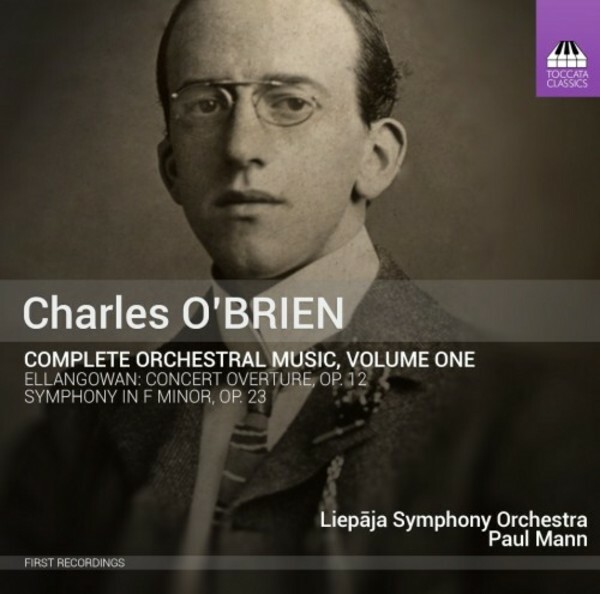 In 2014 Toccata Classics released the first of two CDs of piano music by the Edinburgh composer Charles O’Brien (1882–1968). The O’Brien rediscovery continues with his most important work, his only symphony. O’Brien’s Symphony in F minor (1922) is a full-scale Romantic score in the tradition of Mendelssohn and Brahms, powerful and lyrical by turn. His music also shows an awareness of Elgar, but it has an individual Scottish quality of its own. It is coupled here with his heartening, Walter Scott-inspired overture Ellangowan, resplendent with a big Scottish tune which lingers in the memory. Paul Mann is a regular guest-conductor with many orchestras throughout Europe, the USA, Australia and the Far East. One of his best-known collaborations was with the London Symphony Orchestra and the legendary rock group Deep Purple in two widely acclaimed performances of Jon Lord’s 'Concerto for Group and Orchestra' at the Royal Albert Hall. The Liepāja Symphony Orchestra, founded in 1881, is the oldest symphonic ensemble in the Baltic States and holds a special place in the national cultural life of Latvia, where it has the status of national orchestra. This is the second of a series of recordings with Paul Mann conducting the Liepāja Symphony Orchestra on Toccata Classics. The first featured the orchestral music of Lef Solberg.